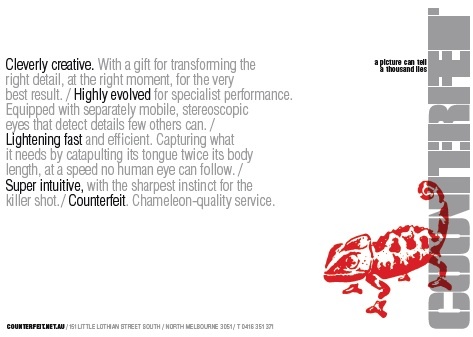 This project required developing a language that linked the qualities of the chameleon with the skills of this high-end retouching service. This was then applied to a promotional postcard and web site. Out, damn’d spam! Out, I say! 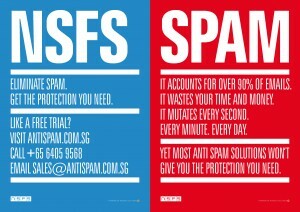 This Singapore-based company needed a brochure that created a sense of seriousness and urgency about the ever annoying problem of spam. 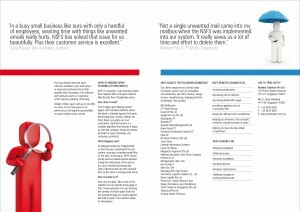 I was approached to create a brochure that cut through the tough competition in this sector. My solution was to create a tone of voice that treated spam like a life-threatening virus and got straight to the point with an effective solution.